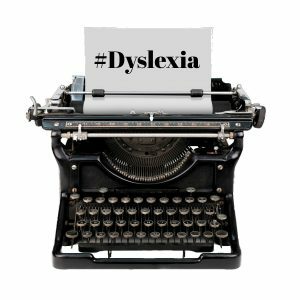 It is NOT a “Mistake” to Test all Kindergarteners for Dyslexia! The International Dyslexia Association (IDA) is a registered 501(c)(3) non profit (EIN: 52-0953609) that files an IRS form 990! We are also a registered 501(c)(3) non profit that files a 990, and the notion that either is a “Private Corporation” is laughable. They have a 100% “Accountability & Transparency” Score on Charity Navigator. Most school districts NEVER STARTED USING the term! Forget about losing any real value, when they never applied it. 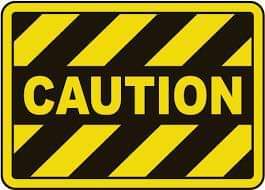 Teachers have been cautioned not to call their students dyslexic because if they do, then the district will have to address dyslexia. If it really were the “medical diagnosis” she claims, all of our students would be able to seek a medical waiver for SB10 and other scholarships. It certainly has medical implications as outlined below. Yes, there is. Besides the plethora of proof elsewhere, we have been a recipient of the Dollar General Literacy Foundation Grant and as a result we have to submit an impact report. We have a statistician that analyzes the results and we use those results to place students in upcoming years as well as to evaluate our programs. Basically, they work! You can read more HERE. In fairness, is it the program? The environment? Our class size? That is hard to separate. However, something has to be done to address the issues, and early identification, which she opposes, gets students the help & resources they need. 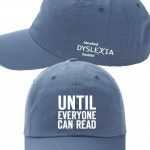 Interestingly, the University of Michigan also has THIS page, specifically for Dyslexia Reading Programs. It’s far less difficult to diagnose than it is to treat. As for it being a disease, SHE called it a “medical diagnosis”, which “is the process of determining which disease or condition…”, and while she is correct, it is not a “disease”, it is definitely a condition, that ignored, has long term implications, as seen below. How bad does it have to get in Georgia? Please contact the Governor’s Office to express your support for SB48. SB 48 Passed the House! 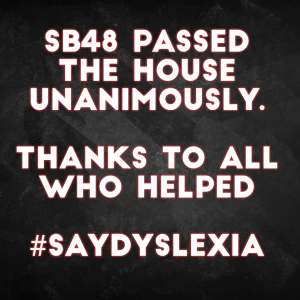 Senate Bill 48, a mandate that elementary schools screen for dyslexia, has just passed the House unanimously. It also passed the Senate unanimously in February. The mandate would be contingent upon state funding. The bill also seeks to train teachers. 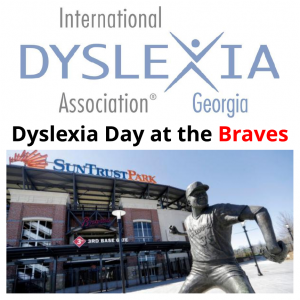 Thanks to advocates such as Decoding Dyslexia-Georgia and International Dyslexia Association-Georgia Chapter. We would like to thank Ed Setzler, the representative for the school’s district, and a committee member, who supported the legislation, as well as Lindsey Tippens, the senator for the school’s district, who also supported it! The bill originally would have required all kindergartners be screened beginning the 20-21 school year. However the House pushed that back to begin in the 2024 school year, to allow time for the state to research methods. The state school superintendent will have to pick at least three school districts for a pilot program starting in the fall of 2020. This will also allow the Professional Standards Commission to establish a special credential for teachers who’ve been trained to recognize dyslexia and to address it. They would also establish standards for teacher preparation programs offering dyslexia training. Acworth, Georgia (March 26, 2019) – Brookwood Christian today earned a 2019 Platinum Seal of Transparency, the highest level of recognition offered by GuideStar,, the world’s largest source of nonprofit information. By sharing metrics that highlight progress Brookwood Christian is making toward its mission, the organization is helping donors move beyond simplistic ways of nonprofit evaluation such as overhead ratios. To reach the Platinum level, Brookwood Christian added extensive information to its GuideStar, Nonprofit Profile: basic contact and organizational information; in-depth financial information; qualitative information about goals, strategies, and capabilities; and quantitative information about results and progress toward its mission. By taking the time to provide this information, Brookwood Christian has demonstrated its commitment to transparency and to giving donors and funders meaningful data to evaluate nonprofit performance. 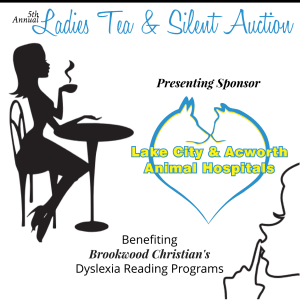 Brookwood Christian School is a private, non-profit, non-denominational Christian school that serves students who have not been successful in public or private schools due to their unique learning needs: individual or multiple learning disorders such dyslexia, reading & language processing disorders, auditory processing disorders, attention deficit disorder, neurological disorders, and other specific learning disabilities. Most of our operating budget comes from tuition payments augmented by the Georgia SB-10 scholarship program. Seventy-nine percent of our students receive some sort of financial assistance. Recognition such as this helps with our fundraising which helps keep our operating costs and tuition low. The GuideStar, database contains a profile for every tax-exempt nonprofit registered with the IRS. GuideStar, encourages every nonprofit to claim and update its profile at no cost to the organization. Updating allows nonprofits to share a wealth of up-to-date information with the more than 10 million people who visit GuideStar, to learn more about nonprofit organizations each year. Updating also allows nonprofits to share information with the more than 200 philanthropic websites and applications that are powered by GuideStar, data. To reach a given participation level, organizations need to complete all required fields for that participation level. The GuideStar, participation levels, acknowledged as symbols of transparency in the nonprofit sector, are displayed on all updated participants’ profiles in the GuideStar, database. GuideStar, is the world’s largest source of nonprofit information, connecting people and organizations with data on 2.7 million current and formerly IRS-recognized nonprofits. Each year, more than 10 million people, including individual donors, nonprofit leaders, grantmakers, government officials, academic researchers, and the media, use GuideStar, data to make intelligent decisions about the social sector. GuideStar, Nonprofit Profiles are populated with information directly from nonprofits, the IRS, and other partners in the nonprofit sector. The Seal levels, acknowledged as symbols of transparency in the nonprofit sector, are earned by nonprofits providing specific information to its profile. 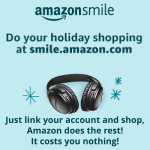 In addition, users see GuideStar, data on more than 200 philanthropic websites and 5 applications like AmazonSmile, Facebook, and Network for Good. Foundation Center and GuideStar, joined forces to become Candid, a 501(c)(3) nonprofit organization. Find out more at candid.org and on Twitter @CandidDotOrg. Thursday, March 7, was the deadline to move bills from the Senate to the House and vice versa. However, legislation that failed to “cross over” may still pass by riding on other education-related bills before the session ends on April 2. 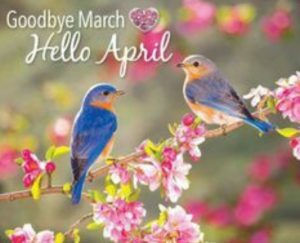 Here is a wrap up of what may affect our families. Senate Bill 48, a mandate that elementary schools screen for dyslexia, crossed to the House. The bill has bipartisan support so far, it passed the Senate 55-0. The mandate would be contingent upon state funding. The bill also seeks to train teachers. 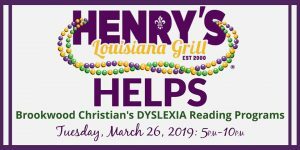 The House Education Committee will meet at 1 pm in CLOB 606 to learn more about Dyslexia from Dyslexia advocates such as Decoding Dyslexia-Georgia and International Dyslexia Association-Georgia Chapter. We have already spoken with Ed Setzler, the representative for the school’s district, and a committee member, and he supports the legislation! 🙂 Please come early to sign in for public comment and get a DDGA sticker to wear.You will need an ID to get through security. More information HERE. Senate Bill 163, the “Tim Tebow Act,” has crossed to the House. Named after the football player, the bill would let “home-schooled” students play on their local school’s athletic teams and participate in other extracurricular activities now restricted to enrolled students. While this would not impact our students as written, there is talk of it “opening the door” for private school students at schools without athletic programs, especially in light of SB173 not passing. Because of this it has been given a low likelihood of passing. This bill is currently in the House Education Committee. Senate Bill 173, the proposal to create a bill similar to SB10 scholarship for all students, did not cross to the House. It failed its first full Senate chamber vote. The Senate did not take another vote on the bill before the closing gavel on Crossover Day, but the Senate Finance Committee left a notice to reconsider. HB 218, a bipartisan proposal to extend the time limit by which students can qualify for the HOPE scholarship, has crossed to the Senate. This bill would extend the time limit from 7 years to 10 years for which a student can use HOPE funds. This is a modification of the unsuccessful HB 928 from 2 years ago, which called to extend the time to 15 years. This bill is currently in the Senate Higher Education Committee. 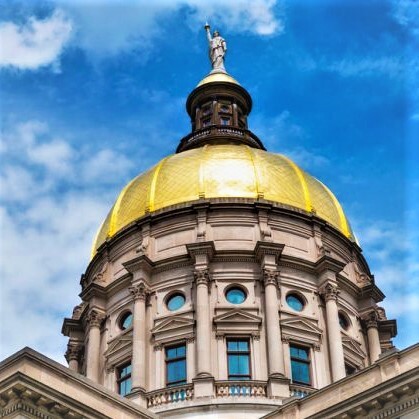 House Bill 444, which makes changes to the Dual Enrollment program, also known as MOVE ON WHEN READY, passed the full House and has crossed to the Senate with more debate expected in the Senate as lawmakers seek to address the ballooning cost by reducing funding by $4 million. The proposed 2020 budget includes language to restrict Dual Enrollment to 11th and 12th grades and limiting summer Dual Enrollment courses. Let your Representatives and Senators know you support these bills, and also contact committee members. Also contact committee members linked under each bill.